If my 40 years in the industry has taught me anything, it’s that no amount of experience or success will lessen the hard work you must put into your art and career. If anything, the more auditions you get, the more work you must do. Judy Kain is the owner of Keep It Real Acting Studios. She teaches Advanced Callback, A-Z Commercial Technique, What’s The Plan?, and Really, You’re Wearing That? For me, I have 5 simple steps I take before each and every audition that help me feel comfortable and open in the audition room. The goal is to leave the audition feeling calm and like I did my best. Knowing that I have followed these 5 steps allows me to go on with my day, and easily move onto preparation for the next audition. Look at breakdowns and memorize the name of the casting director ( unless I know them, because they have called me in so much) The associate and assistant are probably taking you in the room and recording your taped session. So I always say..." Sally?... Yes!... " Nice to meet you. ( and add anything else I might know about them. For example, "you worked on Blah Blah Blah show correct? And we go on from there. Work on your script more than you think is requisite. The more solid I am with my choices the more comfortable and grounded I will be. I have gone into auditions thinking, this is easy… it's just a couple of lines, etc. And those are the auditions I kick myself all the way home. Over prepare by asking yourself a ton of questions. How long have I worked here? What did I do before work? Did I have a fight with someone today? Knowing my first moment before to get me into the scene is critical. It will motivate me and make me start strong. 3. Get there Early and take a few minutes to go to the bathroom and look in the mirror and say hello to yourself using the characters name. My friend talks to herself in the car on the way and is already that character. I like to practice in my audition clothes so I embrace the character in the clothes that are right for the role. 4. Ask to do it again saying one of these statements. Say this only if you feel you were off. Or not engaged and listening to the reader. Only you know this. Then the CD can use whichever take was best. 5. Always thank them by name when you leave. And write down their name or make a note in CASTING ABOUT about your exchange. Be sure to keep them informed of future projects and congratulate them on all accomplishments. Emmy winning shows, promotions from Assistant to Associate, etc. There are so many things you can do to ensure your auditions are professional and prepared. Commercial acting is a viable way to get started in show business. Filming a commercial is a fun and quick way to act, make money, and meet industry professionals, as many film directors direct commercials in between gigs. Judy Kain is an actress with over 400 commercial credits. Going from deciding to audition for commercials to being in commercials, however, is not so fun and quick…not without the proper training. Keep it Real Acting Studios’ award winning commercial class, A-Z Commercial Technique, covers everything actors need to know about the different types of commercial auditions. Each class, actors will get up at least 2-3 times and their work will be saved on a flash drive for at home viewing. This class is a comprehensive and practical approach to commercial auditioning. How to master the personality style audition- Judy's technique for this is fail proof! Making the audition process easy and painless-Non speaking commercials can be the easiest to shoot but the hardest to audition for. Improvisation and adding a little personality is critical. Scene work requires more choices- Discover what is needed. What to do when the nerves kick in and the job is at stake! This is just a sampling of the many many nuggets students will take away from this class. No matter if you have been in the business for 3 days or 30 years, Keep It Real Acting Studios is dedicated to helping actors make their performances as REAL as possible and helping them ace their commercial auditions. 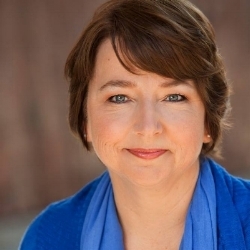 About The Author: Judy Kain is an actress with over 400 commercial credits. She teaches A-Z Commercial Technique at Keep It Real Acting Studios. The next session begins Monday, February 25th. The following interview is an excerpt from Judy Kain’s book, I Booked It. Judy: How does an actor get known by your office? Ross: Do a good job! There are people we take a liking to meaning new faces we see, and we’ll say, “Hey, let’s give them a try.” People who come in physically to the office too many times consistently get on our Do Not See list. If an agent we like says, “Could you see Sarah for this? I really think she is great,” we may not put her on our Yes list for the first time, but we will probably do it the second time. I really do try to see new people forb a certain number of the slots I have, because again, that is important to my director. We rely on the agent for that; we can’t be out looking at a thousand people so we do rely on good agents who have someone who they push and to whom they refer, and we will try to get them in. The other thing is being ready to audition. People come to LA and sau, “I’m here and I need to start auditioning.” What stands out is if you do a bad job. If you do a medium to good job, that is great-perfect! But if you do a bad job, that stands out and then it sticks in our mind. So be ready before you have your agent give it a shot. Judy: Do you ever look at headshots when people send them to your office? Ross: We do see them and go through them, and every now and then we’ll see someone and think, oh, my gosh that person is perfect for what we’re doing right now. That does happen. If someone has taken the time to send them, I am going to try to take the time to look at them. Judy: Do you look through all agencies’ submissions? Ross: We do. Rarely, maybe once or twice a year, when a job is really fast, we will just see 30% because we don’t have time to look through 3000 photos. But in general, it behooves us to look through them. It is not like there are the top five agencies in town and theirs are the only people we will see. Out of the 484 agencies that are submitting to us, if some are getting five out of the 100 slots, that’s a big percentage. We need to see people from smaller places. One of my main directors likes really unusual people so I have to dig deep. On the commercial side, there are 700 agents and managers who are submitting. Learn more from Judy Kain and receive personalized feedback from Ross Lacy Casting by signing up for Advanced Callback Class. Judy: Tell me the ways actors blow a job. Some of it comes down to the fact that the agency and the director are all going to be hanging out with you for 12 hours a day when you’re shooting. IF there are two choices and one of them is friendly and nice and then one of them is annoying (and they both can do the job), then definitely the friendly, nice one is going to get the job, because it comes down to who do I want to spend my day with. So personality does come into play. You don’t want to overstep your bounds-you don’t know us that well, we are not your friends at that moment, you’re there in the audition room to do a good job, but that doesn’t mean you can’t be personal and get a laugh out of us, but read the room and act accordingly. Keep it professional. Judy: When you’re looking at submissions, what stands out? Ross: An actor should not pick their own picture! Your image of yourself is very different than the truth. The kiss of death is when an actor comes into my office. If I see your picture and I say, “Oh my god, this person is perfect,” I am going to give you one of these valuable 100 slots. Then you come in, and I am like, “Who is this person? This is not that person! This is not this person at all!” That stands out in my mind more than anything, because I have wasted time. The headshot should be an accurate representation of not only what you look like, but of who you are! The days of the big smiley commercial shots are gone. It shouldn’t feel like you’re trying too hard. Remember, too, that pictures can’t be too perfect-makeup too perfect, hair too perfect. It comes off overdone, as though you’re trying too hard. I much prefer natural. Your hair should be like it would be if you come in here. The pictures are not for the agents. They are for us. For casting. Judy: How can an actor improve his odds of getting chosen for a callback? Ross: Listen, it is really simple, to be dead honest. I like an actor to come in to the audition room prepared by reading the boards and everything we give you out in the lobby. I pride my office on being one that supplies information to actors. It doesn’t come off as a good audition if you don’t have the information. The way I continue to get more jobs is by doing a good job and sending that link out at night. We need you guys as much as you need us, so I want to give you the best opportunity when you’re in there. Ultimately, that is what we are trying to do. Listen to the people we have in the lobby and the people who run the session; we have access to the director and the client and talk to them, and we know, hopefully, what they are looking for. We are going to give you that information as best we can. I remember doing an improv scene when I was an actor. It was a party scene; everyone was trying so hard to get noticed, to be seen, thinking here is my opportunity to act, and we were all being loud. And then there was a guy standing against the wall eating chips-he was the person that stood out the most because he wasn’t fighting for the attention. A lot of times in commercials we want you to do less-down, down, down, less, less. Actors come in here, it is their audition for the week, and they’re thinking, “Here is my opportunity to act!” We want them to do a deadpan look, a frozen moment, and they say, “Okay, got it,” but they are not listening to the direction. About Ross Lacy: Ross Lacy is a casting director in Los Angeles. His company, Ross Lacy Casting, has cast over 3000 commercials. They provide personalized feedback to actors on their final takes in Judy Kain’s Advanced Callback Class. Ross Lacy is one of the most successful commercial casting directors in Los Angeles. Here is what he has to say about commercial casting. A casting director is hired by a production company or commercial director to find appropriate talent (actors or actresses) to audition for commercial projects and put them on tape for the director and clients to see. Every city with commercial products has a multitude of casting directors serving as the gatekeepers between the production company and an actor’s agent. Once casting directors are hired for a commercial, they send a breakdown of all the spot’s roles out to agencies; the agents select clients who are right for the roles. The casting director then narrows down 2,500-3,000 submissions, choosing 50-100 actors to come in and read each role. Relationships with casting directors are key for an actor to continue to work. Developing those relationships can take time. Judy: What do you love about casting commercials? Ross: I love casting commercials because they are fast-paced compared to a theatrical thing; I like the turn-around. A long job in a commercial is two weeks, and most jobs are four days. We got a call today to prep a job; we’ll cast on Tuesday and Wednesday and do callbacks on Friday. That’s typical. Judy: What skills make a casting director? Ross: In commercial casting, it is multitasking, especially now with the way we are casting online. It’s sooooo fast....and it’s a 24-hour job! It is constant emails through the night. You finally turn it off, and they’re waiting for you in the morning. It really is constant, especially because you do production with companies overseas or with Australia and New Zealand. It keeps going and going, and the clients are so used to getting things right away now, that the pace is ramped up. When I started 20 years ago, we used 3/4 -inch tapes, then DVDs, and now it’s posting. Clients didn’t use to expect that kind of speed and now they do. So multitasking and keeping everybody happy are important. But ultimately the skill we need is knowing the talent. You need to know the talent, especially with the way things go so fast now, when they say, “Hey, we need x, y, and z right now!” To know the talent and the base, call the right agent and get those people in is super important. Judy: Can you give us an overview of the casting process. Ross: It starts when I’m put on hold for a job; usually it comes from a production company because it’s a director I work with. I don’t bid on the job. Once the job awards, they send me specs and boards, and I get on the phone. For me it is about contacts. I am starting a job with a new director I have been dying to work for, but it is because he has seen my work and he’d like to see those people and those faces. Our work is a little bit of everything, not just one type of thing. We do beauty and comedy and dry spots and vignette spots. Each depends on looking at the director’s body of work-each director is different. We talk about the specs and agree on what we’re looking for. I learned this from a director when I first started. He wanted a pretty girl for this commercial, and I kept bringing him in what I thought was pretty-but he really thought a pretty girl was a super tomboy type. It took me a couple days to figure that out, as he was getting madder about what I was bringing in. I also equate casting as like a game of Telephone, because the ad agency has sold it, the client and the producer have approved it, then they talk about it to the director, and then the director talked to me. The dissemination of information changes every step of the way. So part of it is knowing what this director thinks is pretty or what the spot needs. We get on the phone, we talk about the specs and try to figure it out so we get it right, and then I put a breakdown out online. I’ll say, “I want a banal cubicle worker, 30-35, all ethnicities,” and send it out to the agents. The agents submit their clients online, we go through the pictures and pick the actors we like or know or think would be right for the job. It is a fine balance. Actors come in and say “My agent is not submitting me,” and they are angry at their agents, and no, your agent is submitting you. You just may not be right for what we are doing. All actors think they are right for everything. When we get 3,000 pictures for that role and we can only see 100 people, it is our job to cull it down. What you do is you have to balance it. Of the 100 that we will see, I bring in 30 whom I know and love, who may be a little exposed but I know they can do the job, and I know they are going to be great. I’ll also bring in 30 people I want to try out-new faces-because you want to continually show the director new faces, and also because it helps all of us. We hold the auditions and have the actors come in, we videotape them and send the link to the director. They watch the link and they give us their selects. Out of the original 100, the agency and director each pick ten. We have a callback for those 20 people, and out of those 20, one person books it! The number has gone from 3,000 to 100 to 20, down to one. Judy: What about avails (backups)? Ross: It depends on the job. We just did a huge Samsung job with 52 principals, so there was a backup pool of people so if we lose someone we can slot in. In general , you will have a first choice, a backup and an alternate. Judy: How much is personality and how much is talent? Ross: It depends on the job. Some of the vignette stuff we do-when we do interviews and we just talk to people-it could be personality. If it is a dialogue piece, it comes down to training and improv skills. I always laugh when someone says, “Oh my gosh, I would like to be in a commercials!” And I say, “Sure you would everybody, that’s why these people are training and go to improv classes all night long and they make it look easy-and it’s not!” The people who think it’s easy are mistaken. Judy Kain is an author, actress and acting teacher in Los Angeles, California. Learn more about commercial auditions and receive personalized feedback from Ross Lacy Casting in Judy’s Advanced Callback Class. When somebody asks me what I do for a living, I usually say, " I drive around town and change my clothes". That is what it feels like most days. I leave the house with a variety of outfits and hair products that enable me to transform from audition to audition. I can go from an uptight CEO in a business jacket and pencil skirt, to a relaxed stay-at-home mom, in a layered sweater and blouse combo draped loosely over khaki pants, cooking a yummy meal for her family. Oddly enough, I have always referred to my audition outfits as costumes, not wardrobe! So it really is like Halloween every time I dress up for a role. Image and Branding Specialist, Tom Burke, says clothing can “make or break an audition”, and I thoroughly agree with him. Even a little bit of effort will help casting better imagine you in the part and can give you the competitive edge you need to book it. If you are one of those people who doesn't have a clue what to wear, make Google your new best friend. Search for images of the types of roles for which you’re auditioning, and you will get a sense of wardrobe essentials. Also, start watching TV for the outfits. And don't just look at the stars or leads. You will gather fantastic costume ideas watching the day players and guest stars. Lastly, make sure to remember that branding and costumes go hand in hand. Once you know who you are, you will know how to dress, and once you know how to dress, casting will know who you are. What are you waiting for? Pack your costumes, start booking...oh, and make sure to have a Happy Halloween too! Judy Kain is an actress who has appeared in over 400 commercials and over 100 film and television shows. Her most notable recurring roles include Mad Men, The Odd Couple, and Hand Of God. Judy is the owner of Keep It Real Acting Studios. Her newest workshop, What’s The Plan?, is being offered Sunday, November 4th! How Improv Can Help You! If you want to lose weight, you should probably hit the gym as part of your weekly routine. If you want to be a working actor, you should definitely make Improv Class a regular part of your weekly activities. A common misconception is that Improvisation is all about trying to be funny - in many places it is, but that was not the original idea. Viola Spolin, who taught at “The Young Actors Company” in Hollywood in the 1940’s before heading to Chicago and changing Improv’s trajectory forever, is largely credited for coming up with many of the Improvisation games and exercises that are still taught today. They were her creative answer for getting students to listen better, to look at each other, to connect deeper, or to be more truthful on stage. The games ended up being very entertaining because they were inherently ‘alive’. Leaving the scripts behind gave the actors the freedom to explore their characters and create entire worlds in a way that had not been explored before. Good Improv is funny because it’s honest. It was never Viola Spolin’s intention for the word “Improv” to be synonymous with “Comedy” or “Stand Up”. I am able to make all kinds of offers at an audition or on a set: I see far too many actors waiting for the director to do their job for them. I know I can come up with an endless amount of ways to say this line and I’m not scared to try them all out. A director knows that I can take direction to an extreme and not worry about doing it wrong or too big or too weird. Improv class is my gym where I practice being ridiculous, I make ‘bad pancakes’, I find out where my own edges are - how far I can go. I remain still inside of chaos: No matter how crazy an audition gets or if the set is crumbling behind me - I have a leg up on others because I’ve practiced just being alive in this moment and keeping my wits about me. I have an array of tricks at the ready in my basket: You want me to sing? You want me to go really slow? No facial movement whatsoever? Be uptight? Be Shakespearean? Do an accent I am no good at? I’m up for anything. I make an offer to you, you offer back: It’s ping pong. That’s how I work with a director, I can give her lots of choices - even if she doesn’t like each one I know it might help her to narrow down what she’s looking for. I have an innate sense of story and ensemble: I play well with others and know how to find the fun. Improv, like Acting, is not a competitive sport. We all make each other look good. I say “Yes” to whatever or whoever comes my way. : I don’t have to be defensive of my choices, I can find a way to work with anyone to make a win-win situation. I have taught literally hundreds and hundreds of Improv games in my lifetime. I have also made up hundreds of games because I need to solve issues with students everyday. I know, because of Improv, that I am endlessly creative. I love helping anyone see that they have a never ending font of creativity inside them as well. Improv has made me a better teacher, a better actor, a better poet, a better wife, a better human, and a better listener. So go ahead...sign up for an Improv class and see what is does for you! Lisa Fredrickson is an actress who has appeared on The Guild, Desperate Housewives and Greek. She currently teaches Youth Improv Intensive at Keep It Real Acting Studios. Sign up now to work with her in our July Sessions!